If there's one thing we love more than the warm weather spring brings, it's the fresh seasonal food we can indulge in. After a winter of starchy produce and carb-filled ingredients, we're all ready to start loading our plates with spring salads again, with a glass of rosé, of course. That's where one of our favorite chefs, Gaby Dalkin, comes in. 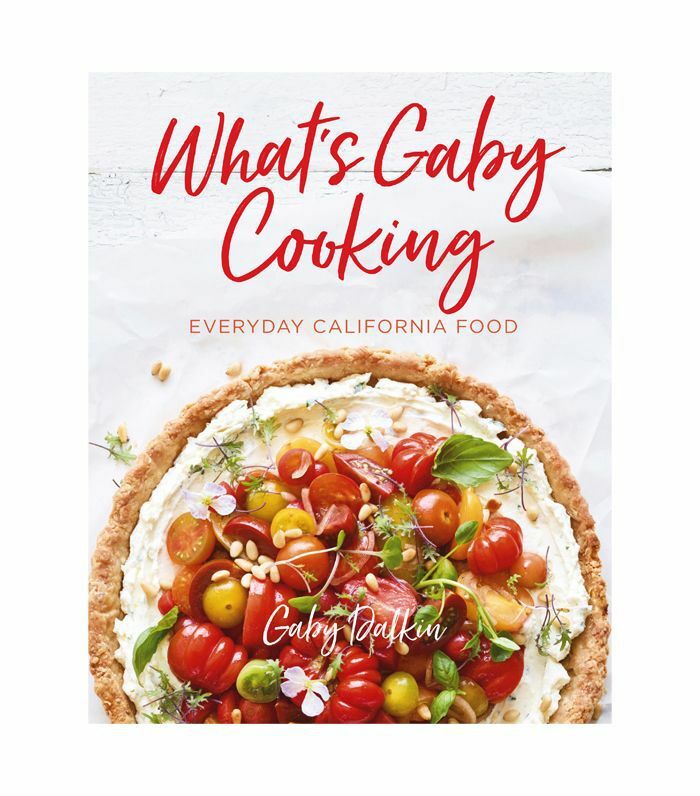 She is the creative mastermind behind the delicious What's Gaby Cooking, and the MyDomaine team has been non-stop oohing and ahhing over her newly launched cookbook, What's Gaby Cooking: Everyday California Food. We've been obsessed with Dalkin's deliciously approachable recipes for a while now, and the famous foodie says there are two simple reasons why her recipes have resonated with thousands of people. "Firstly, I think it's because my recipes are dependable," she says. "Everything gets tested at least four to five times before it goes on my website or in my cookbook. And secondly, because my recipes are real. There's nothing too complicated about anything I post; it's all doable, fun, and most importantly delicious." We can vouch for both of those reasons. It turns out that spring is Dalkin's favorite time of the year too (no wonder she timed her book launch perfectly for the season). "After a lot of very beige foods during the winter months, we're finally seeing gorgeous pops of colors from all the asparagus, peas, artichokes, and cherries," she says. "Everything is so fresh and crisp and doesn't need a lot of fussing over—the ingredients really shine on their own." 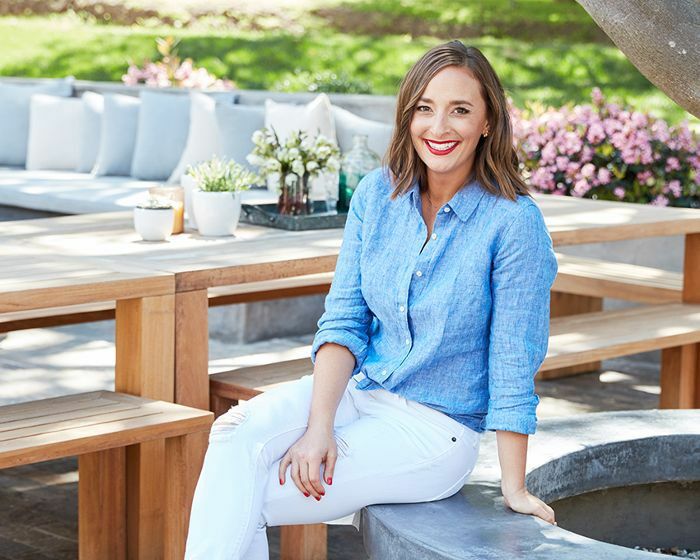 We asked Gaby to share a couple of tips for throwing a foolproof alfresco spring lunch with friends along with three of her favorite recipes from the book so you can host your own. Dalkin's secret to hosting like a pro is to pare everything back. "I never make overly complicated menus that will force me to be cooking for hours on end or stuck in the kitchen while my guests get to have all the fun," she explains. "So I plan the menu accordingly and I always prep ahead. I tend to keep it to three to four things: There's always a salad featuring farmers' market produce, maybe some kind of easy appetizer (like my green goddess dressing served with crudité), the main course like pizza, a side of salmon, or a fun quiche, and then a dessert. The appetizer and dessert can usually be prepped ahead, the salad requires no actual cooking, and the main course can be out before guests arrive. It will all come together easily while everyone is enjoying their drinks and a bite to eat." If you want to pull off a seamless spring party with friends, then Dalkin suggests you feature produce that is readily available and at the peak of its flavor so you can make simple recipes. "Grab wildflowers from the farmers' market and just throw them into a mason jar for decoration, and have plenty of wine chilled in the fridge," she says. "If you're going for a cocktail, choose something that you can prep ahead. I've made the mistake of serving margaritas a few times, and I'm always stuck juicing limes in the kitchen. So nowadays, if a marg is making an appearance, I'll grab some freshly squeezed lime juice from the juice bar down the street so I can just shake and pour (rather than juicing every time I need to make a fresh batch)! Also don’t be shy about putting your guests to work. They all secretly love it." So go ahead and try out Dalkin's simple recipes below for your next friend's gathering. Share it with us by using #MyDomaineEats on Instagram. There’s not much more to put together the perfect cheese board than loading up as many goodies on there as possible and making them look pretty. But there are a few good rules of thumb. Make sure to get a range of cheeses: soft, hard, mild, intense, cow, goat. I like seeking out California-made options, and I encourage you to see what kinds of cheeses are being made near you. In a medium saucepan, combine the dried fruit and water. Place over medium-high heat, bring to a simmer, reduce heat to medium, and simmer for 15 minutes, or until the fruit is soft but still keeps its shape. Add the orange juice, lemon juice, sugar, cinnamon, clove, star anise, and salt, and continue cooking until the liquid has reduced to a syrupy consistency, about 8 more minutes. Remove from heat and let cool to room temperature before serving. The compote can be made ahead of time and stored in the refrigerator in an airtight container for up to 3 weeks. Preheat the oven to 475°F. Lightly flour a rimless baking sheet or pizza peel. While the oven is heating up, bring a small pot of water to a boil and prepare an ice bath. Add the peas to the boiling water and cook for 90 seconds. Remove and immediately dunk into the ice bath to cool. Set aside. Repeat the process for the asparagus tips, cooking for 2 to 3 minutes before dunking into the ice bath. Once both vegetables are cooled, remove and transfer to a paper towel-lined plate to dry. On a clean, floured surface, shape the dough into 2 medium-ish rounds. Let the dough sit for 5 minutes, then re-form it to make sure it‘s as big as you‘d like it to be. Place the dough on the prepared baking sheet or pizza peel. "This dressing is my pride and joy, and I probably eat about a gallon of it a week—no joke. It’s fresh and bright and works with just about everything: on a salad, tossed with pasta or grains, drizzled on fish or shrimp (it’s particularly yummy with salmon), and slathered on a piece of avocado toast." "After I tested this recipe, I put it in the fridge to cool, and two hours later my husband and I were parked in front of the fridge with two forks, eating these straight out of the pan like there was no tomorrow. They are that good. As hard as it will be, do NOT skip the two-hour cooling period, because there’s carryover baking that will help everything firm up without overbaking (which would make the squares too hard). After that, the only thing between you and this dessert is a fork." Preheat the oven to 350°F. Spray a 9 by 9-inch (23 by 23-cm) baking pan with nonstick cooking spray and line it with parchment paper. In a large bowl or stand mixer, combine the melted butter and brown sugar and mix with a wooden spoon or the paddle attachment for 1 minute, or until combined. Add the vanilla and eggs and mix, scraping down the sides of the bowl, until fully incorporated. Add the flour, baking powder, and baking soda and slowly mix until just combined. The batter will be a bit stiff, but that's normal. Fold in almost all of the chocolate discs, leaving a few for sprinkling on top. Spoon the batter into the prepared baking pan, sprinkle with the remaining chocolate discs and Maldon sea salt, and transfer to the oven. Bake for 30 minutes. The top should be golden brown and still have a slight jiggle when gently shaken. What's your favorite spring ingredient?